Denver, Colo. – Low-fare carrier Frontier Airlines announced its 100th destination from Denver International Airport (DEN) with non-stop service to Northwest Arkansas Regional Airport (XNA) in Bentonville/Fayetteville, Ark. Service starts June 27, 2019. To celebrate this 100th city, Frontier is offering a sale to all 100 destinations from Denver with fares as low as $39* available now on flyfrontier.com. Frontier Airlines will celebrate its 25th Birthday this summer and has committed to a 10-year lease renewal of its aircraft hangar at DEN. 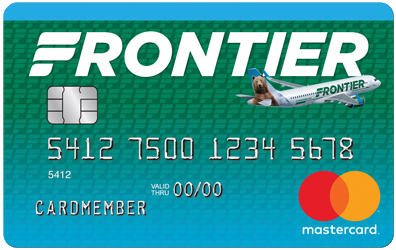 In addition, Frontier is also giving away 100 round trip tickets to residents of our home state!! Visit http://bit.ly/DENVER100 to sign up between Monday, April 8 and Saturday, April 20 for a chance to be one of the 100 lucky winners. Winners receive one round trip flight voucher and will be notified by Apr. 20, 2019. The addition of Bentonville/Fayetteville follows the recent summer schedule announcements of new service from Denver to Billings, Montana, Boston, Massachusetts, Burlington, Vermont, Green Bay, Wisconsin, Mobile, Alabama, and Tyler, Texas. “Frontier’s commitment to serving the growing population in Denver continues to provide new options and competitive fares for our passengers,” said Kim Day, Chief Executive Officer at Denver International Airport.